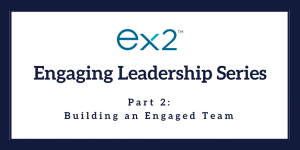 In this second article in the Engaging Leadership Series, we will introduce the concept of building an engaged team. Of course, building an engaged team is a multi-faceted task which will take time, effort and significant commitment. It is a series of small, considered steps rather than a quick win. These steps are too numerous and detailed to cover here. Instead, in this article, I will give you a flavour of some of the key topics I will address in the rest of this Engaging Leadership Series. The key steps to building an engaged team, including the 5 topics below and much more (e.g. building resilience in your team; developing trust; encouraging creativity and innovation; sharing responsibility for engagement; encouraging employees to take ownership). Modern life with all its technology has had its impact on the engagement strategies rolled out by organisations. We have become impatient with a demand for immediate results. We see a lot of reports about engaged workforces where they enjoy indoor gardens, BBQs, decorating their desks and other such frivolities. Our drive for immediate results make us think that employees will enjoy these activities and become more engaged and motivated as a result. These activities are also relatively easy to deliver. The main point of these activities is that they work for engaged employees, but not for those who are disengaged. There is work to do before most employees can maximise the opportunities these events present. We will explore this topic in detail later in this engaging leadership series with specific focus on striking a balance between keeping your eye on both the ultimate goal and how to get there. Your team members are more affected by team culture than they are by organisational culture. Team culture is most affected by the direct line manager, how s/he behaves, and how s/he makes each person feel. This is why we always hear the statement ‘people don’t leave jobs, they leave managers’. Research by Investors in People tell us that our focus should be on the line manager first and foremost in any engagement strategy and when setting team culture. Of course, part of the team culture will also be influenced by organisational culture. However, the line manager has little control over organisational culture. What s/he can influence through behaviour and communication is team culture. We will look closely at this topic later in this series. Closely linked to team culture, it is imperative that each line manager objectively reviews his/her own leadership skills. Are you an engaging leader? Leading your team to high performance through their voluntary choice to deliver for and with you every day. They do not want to let you down. Or, are you a toxic boss? Your team have learned personal strategies to survive each day, doing the bare minimum to get by but also just enough to stay out of trouble. It’s time to take an honest look at your leadership skills and how you are perceived by your team members. The long-term sustainable performance and productivity of your team depends on it. Later in this series, we will explore why your self-assessment is crucial when building an engaged team and you will get tips and techniques to develop yourself as an engaging leader. How do you manage your high and poor performers? This topic reminds me of the song by The Police ‘Every Breath You Take’. As a manager, every decision you make and action you take is observed and judged by your team members. They watch how you reward high performers, or not. They also watch how you deal with poor performers, or not. Managers need to be mindful of motivational theory such as Vroom, when considering this topic. It is the line manager’s behaviour and reaction to both high and poor performance that will illustrate whether the reward is worth the effort. We will look at how you should go about ensuring your team members decide that the reward on offer is worth putting the effort and persistence into every working day. This is a crucial component of being an engaging leader. You must know your team members individually and crucially you must learn what makes them tick. Too many articles and trainings on this topic suggest it is enough to know their families, pets and hobbies. However, that is the very least you are expected to know. 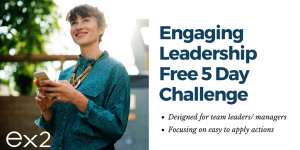 Later in this Engaging Leadership Series, I will provide an article discussing why you need to know more than this about your team members and how to do it. For example, what do your team members view as ‘success’? What makes them tick? Why does each person come to work and what does s/he want to achieve? These are just a flavour of the topics to come in our Engaging Leadership Series. Do you like what you read here? Are you ready to boost your leadership career? Yes. 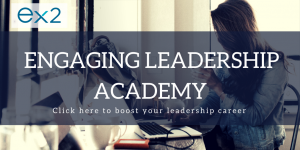 Then click here to see my offering to you in the Engaging Leadership Academy.